Baratunde is a comedian, author and former director of digital for The Onion. His responsibilities included producing the "War For The White House" 2008 election coverage, helping the company adapt its storytelling to new digital platforms such as smartphones and social media, and expanding The Onion's public voice as well as relationships with the technology community. 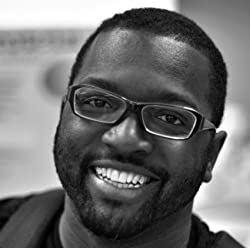 Baratunde is a best-selling New York Times author of How To Be Black. He regularly engages in "digital performance art" including being @The_Swine_Flu, running a real world campaign for his Foursquare mayorship and "live hate-tweeting" all Twilight movies. He's been a standup comedian for more than 10 years and is a highly sought-after public speaker addressing topics related to the media, politics, technology and marketing. Also black people. He was named one of the 100 Most Creative People in Business by Fast Company magazine and has worked with the White House Office of Public Engagement as a digital advisor. Please enter your email address and click the Follow button to follow Baratunde Thurston!